What happens when you are gluten free, lactose intolerant and allergic to nuts? Grocery shopping becomes a nightmare. Finding food you can eat is inconvenient. Other people just don't understand your dietary needs. This idea is original and unique. 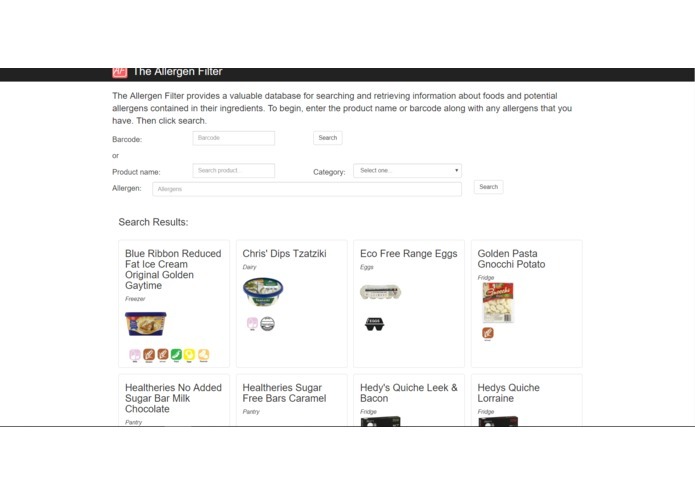 Although there are databases filled with recipes that cater for dietary requirements, no _ one _ database exists for compiling allergen information of supermarket items or raw ingredients. What if you're at a friend's house for dinner and the food is already cooked? 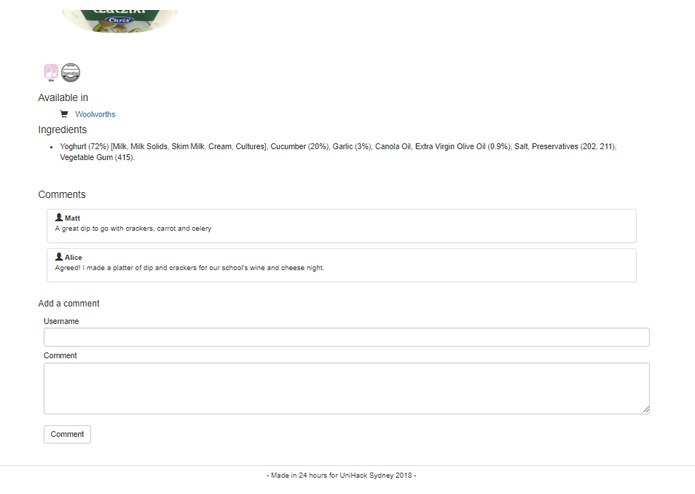 By checking through all the ingredients used in the recipe, you can know whether your meal is safe to eat. Secondly, the barcode scan of products provide a very quick and definitive 'Yes' or 'No' answer. No more need to look at the ingredients list for items along the aisle. 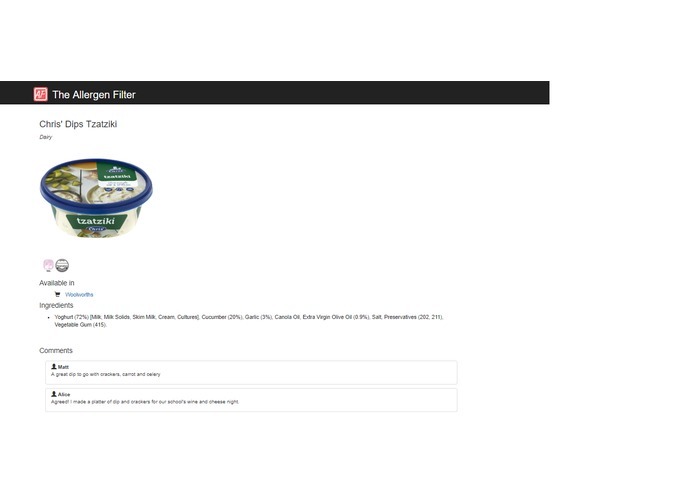 Our site is currently only a prototype and lacks the number of items that a large scale supermarket item database should contain. We anticipate that as the database grows and more users are added to the community, digital storage space, mobile friendliness, cross platform portability and data analytics to preference search results will become important considerations. However, growth will also create many opportunities for revenue and expansion into the area of dietary health education, partnering with major and minor shopping outlets, restaurant owners wanting to better understand their dietary customer's needs and building a proactive community that supports one another who have dietary health needs.